Read the Trail of Tears Poem, a moving tribute to the 1000 mile march undertaken by the men, women and children of the Cherokee nation and the other Five Civilised Tribes of American Native Indians. 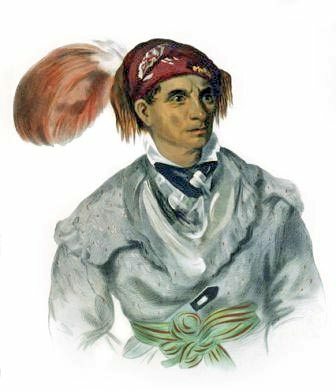 Click the following link for comprehensive information about the story, history and facts about the tragic journey called the "Trail of Tears". Read the Trail of Tears poem and imagine the arduous six month journey in freezing cold weather and without adequate clothing and food. Add to these conditions there was also a lack of sanitation, suitable shelters and deadly contagious diseases. The tragedy of the Trail of Tears was made even worse by the hazards that the people encountered on the journey of misery, sickness, and death. One in every four people died on the journey, there were make shift burials along the Trail of Tears, and every person was in mourning for a loved one who had died on the journey. Read the Trail of Tears Poem by the author known as written by Mojomike8. Drowning out the red man. So one can be born. As the wind in the sky. In the fields of sadness. But comes a time when we will rise again. Oh Great One, hear our prayers and our song. The Trail of Tears Poem provides a moving tribute to this tragic time in Native American Indian history. 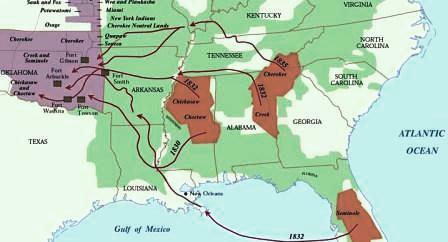 Map of the route referred to in the Trail of Tears Poem.